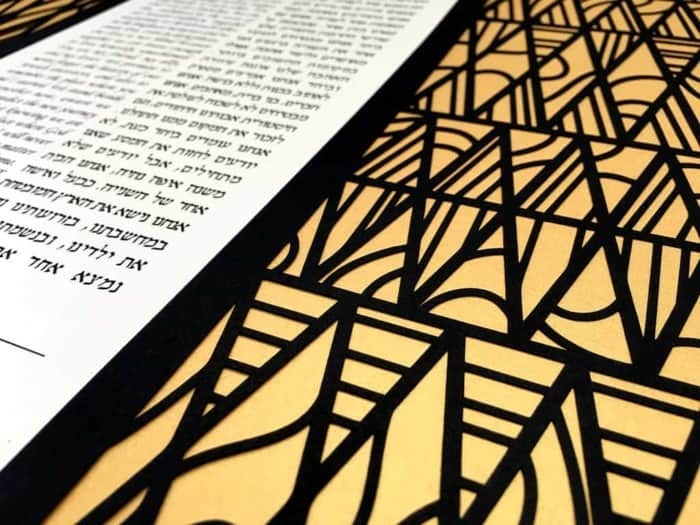 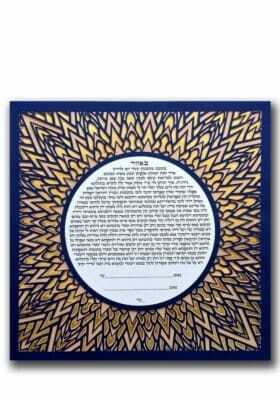 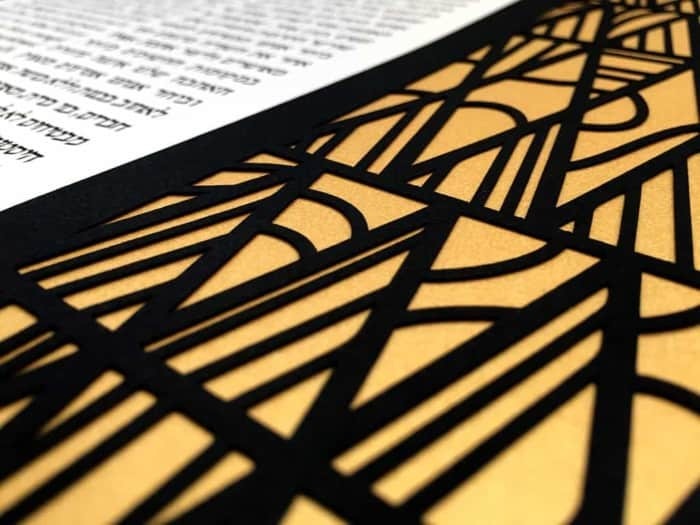 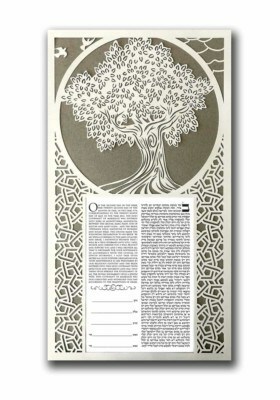 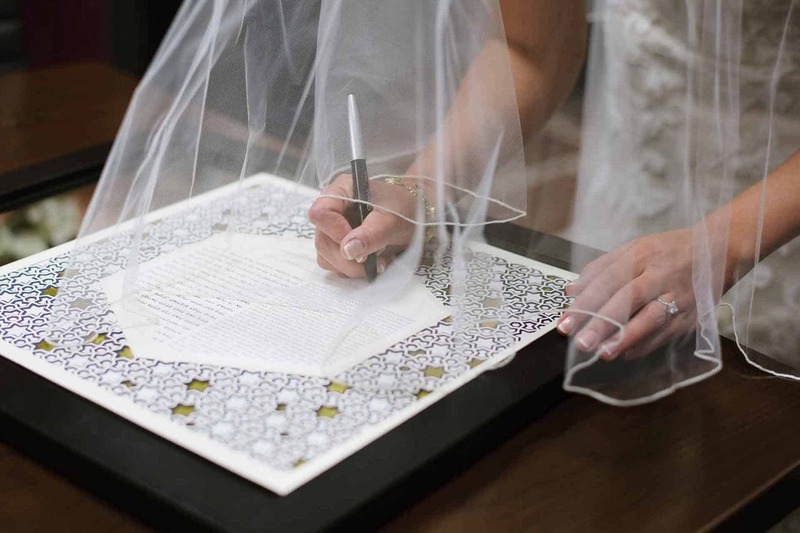 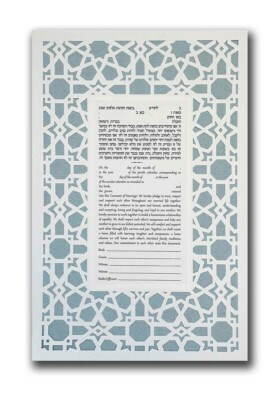 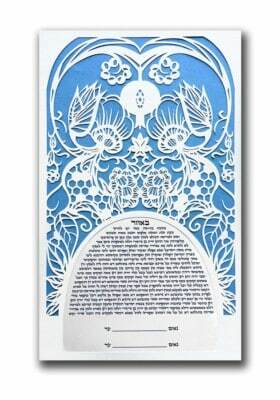 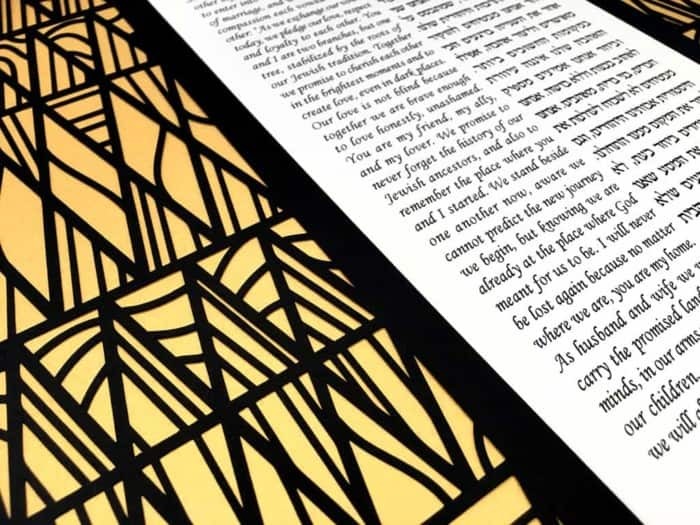 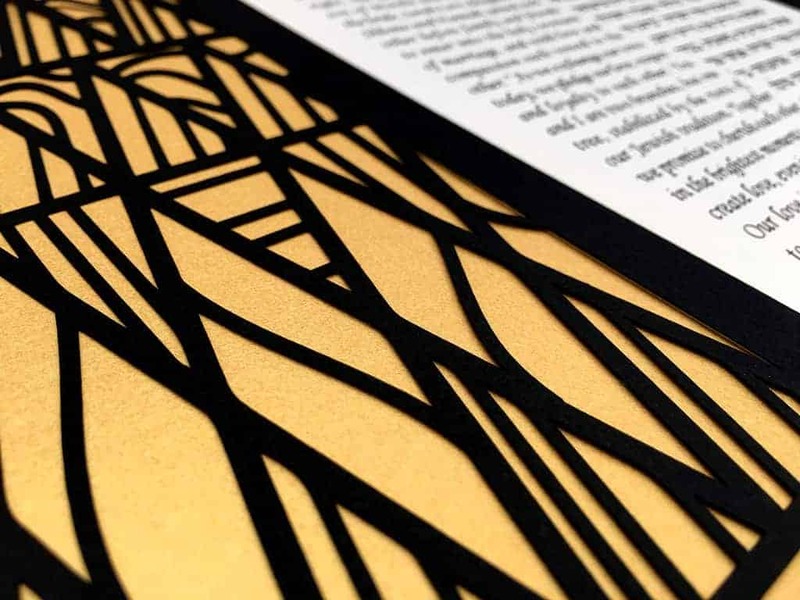 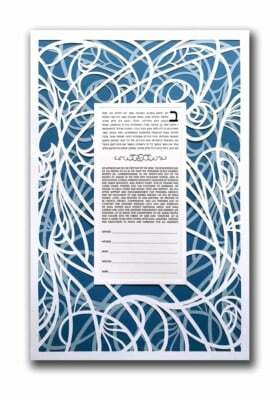 A timeless papercut ketubah designed in the Art Deco style of the 1920s and 1930s. 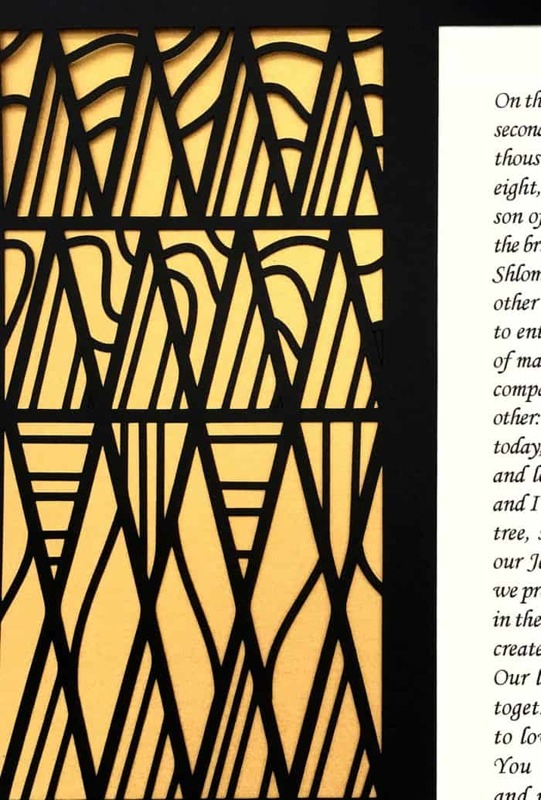 This was the style that defined the modernist movement, which embodies the promise of an ever-improving future. The large center area accommodates even the densest text with ease. 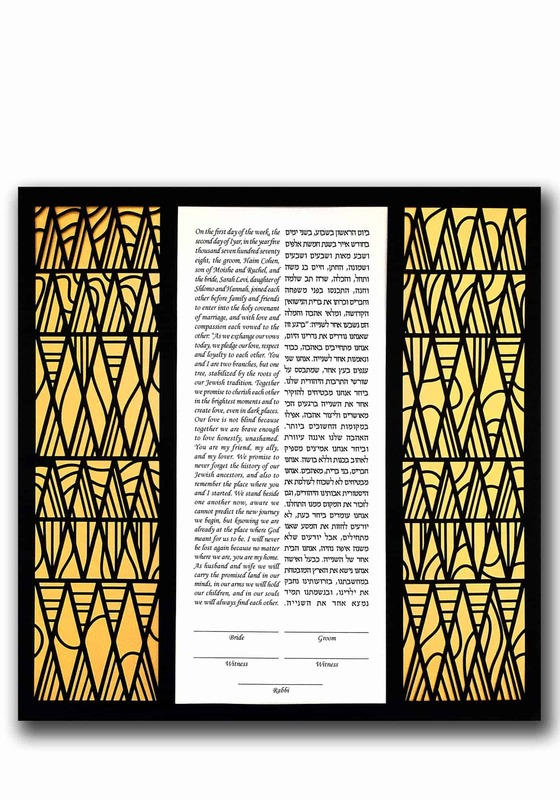 Either in the dual column format as seen in the photos, or as a single column for a more traditional look.